THIS ARTICLE IS A WORK IN PROGRESS – I will be coming back to update this page later on with images and fact-checking the information listed. If anything is incorrect, forgive me! 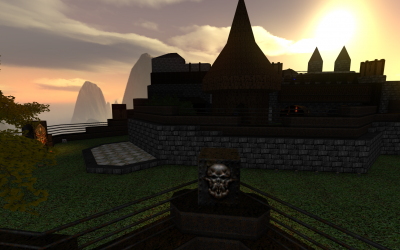 This guide is a short how-to on how to use these two fantastic features of GZDoom Builder. With these tools you’ll be better at working with arbitrary angles, and will save plenty of your time while you build your worlds! Curve Tool is for more than just basic curved corners! What better place to start than with the curve tool? This tool curves existing linedefs. The curves can be controlled extensively, by defining which direction the curve goes (inwards or outwards), how many vertices it adds (more = smoother curve) and at what angle the curve is created at. Let’s learn how it works by making a circle out of a diamond. Start by drawing an equal sided diamond, then, in lines mode, select all 4 sides of the diamond and click on the “Curve Linedef” button. It defaults to whatever settings were last used, but for this example, lets set the vertices to 3, hit the fixed circle button, then change the angle to 90. What we’ve done here is turn our diamond into a circle! Try playing with the settings to get a grip on what does what. Now, draw another diamond, curve the sides with the following settings: 2 vertices, fixed circle, 270 degrees. This will create perfect extrusions of the wall, turning your diamond into an “X” shape! How about we make one more example. Draw a pentagon (five sided shape). Curve the lines using: 1 vertex, fixed circle, 270 degrees. There, we’ve turned a pentagon into a star! The curve tool is very versatile, too. We can use this as a clever linedef splitter. 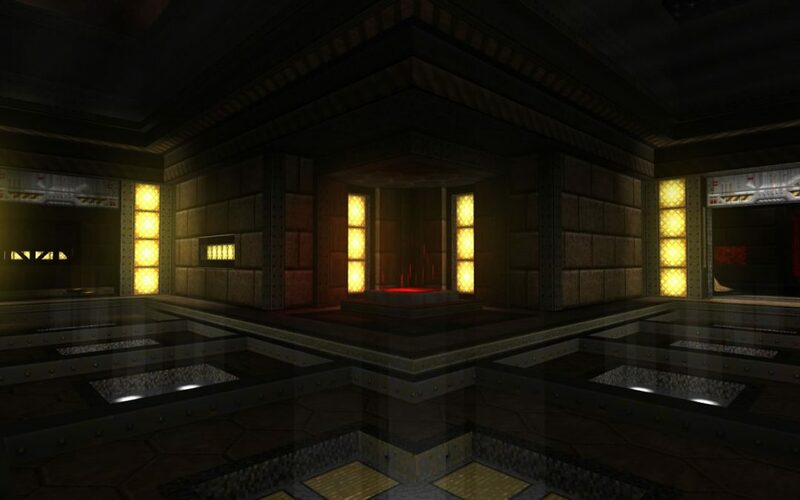 Draw a basic room, for example, 256x256. 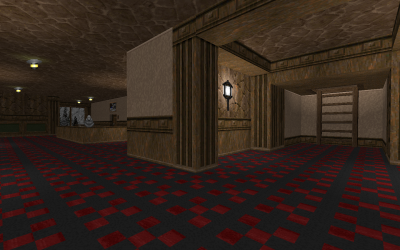 Now that you have your room, let’s ‘slice up’ the line into multiple portions so you can texture it differently, just like the corridors in MAP01 of Doom 2 (with the tekgren variants) – you could manually draw the vertices, and when working on the 90degree grid, that’s probably just as easy, but what if your room’s at a strange angle? It can be hard to work out equal portions, so let the curve linedef tool do it for you. for the example we’ll use a 256x256 box, and try to change each 256 line into a bunch of 64 lines. Simply select the line(s) you want to divide up, and change the settings as so: 3 vertices, circular, 0 degrees. With this you’ll see that 3 vertices have been placed equidistant from each other across the line. Job done! Okay so now that you have a grasp on the power of the curve linedef tool, lets meet the stair builder. This tool can be used to make “pyramids” of any shape, and can also be made to make extrusions of any line. We’ll start with the ‘pyramid effect’ first. To start, draw a square room, say, 256x256. Now, in sectors mode, select the room, then click on the stair builder tool. A popup should have appeared with a range of options and settings. don’t be intimidated by this, we’re going to break it down step by step and make it easy to work with. Starting on the left, we have the settings of the stairs themselves. 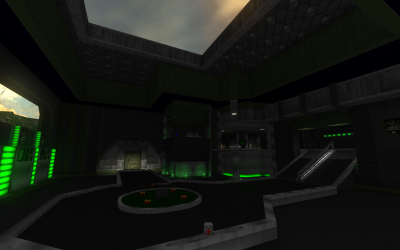 You’ll be able to choose how many steps it adds, what depth these stairs should be, and which direction these stairs should go (inside the selected sectors, or outside). This set of options is in my opinion the main reason the tool is useful – you can use this for a number of things. Next is the ‘flats’ settings. Using these settings you can choose how high each step is, what texture should be on the floor/ceiling of the steps, etc. If you prefer to do this by hand after the tool’s done the line-work, simple un-tick these options. Next is the side options. Be a little careful with this, leaving it on the default settings will have your step sides lower and upper unpegged, which might not be useful. Regardless, use this set of options to choose which textures should be on the upper and lower sides of the steps. Simple, right? So back to our 256x256 room. Lets add a 16px trim around the edge of the room. Set it so that the sector depth is 16, 1 iteration, inside the sector, and until all the texturing options, as we can do this ourselves. Done! In a few clicks you’ve had the editor draw a trim sector for you. This doesn’t matter what shape you’ve got, if you want a trim inside it, just use this tool! One thing to be _very_ careful is having lines intersect – this happens when your sector depth is too large, you have too many iterations. It happens more often on complex geometry, so just be careful as you go to avoid this, as you could cause problems with your map. Moving on, lets look at the other type of stair builder, which I call an “extrusion tool” – instead of selecting a sector and using the tool, select a single line and use it – you’ll notice that now instead of creating a pyramid out of the room, a rectangular step is being pushed out from the wall, perfectly perpendicular from the wall. Initially we’ll use this like a stair builder, as intended. In your 256x256 room, lets add two vertices to the wall so we have a 128 wide line with 2 64 wide lines either side. Select just the 128 line, then click stair builder. Tweak about with the settings, adding a few iterations with a sector depth of 32, increaing floor height of 8. Check it out in 3D mode and you’ll see we’ve made a set of stairs going upwards, you could use this to create any set of stairs anywhere. Now, what I personally use this tool for is indentations in a wall. Lets make a circle as per the curve lines guide above – You should have a circle made out of roughly 20 lines – now select every other line then click stairbuilder tool. Up to you what settings you settle on, but for this example go with 1 iteration, sector depth of 32px. Well done, using two quick tools you’ve just made a gear shape that would have been an absolute nightmare to draw if you did it freehand! A few minutes to play about and understand what the features do. It’s really easy to create a ladder you can climb up – Make scaling those tall surfaces nice and easy for your players in an interesting way! Ever heard of line portals or stacked sector portals? Check out how to use the incredibly powerful set of features now!